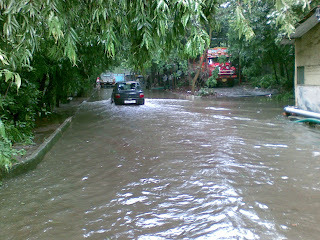 Walking through flooded streets, as you are listening to radio flood updates can be quite an experience! 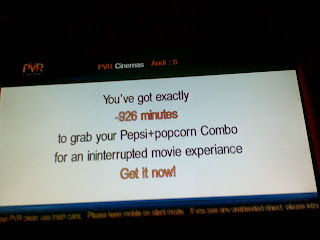 The Mumbaikar obsession with time, seems to have been displayed too prematurely by PVR cinemas, who's display seemed to show negative numbers. 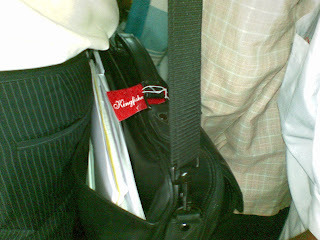 Some people never like to remove that Kingfisher tag that they got to stick on the bag. Its like a status symbol for the fast moving mumbaikar, in the densely crowded trains. 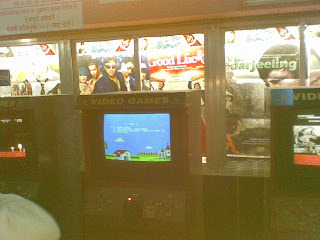 Kingfisher must be smiling all the way to the bank, thanks to the viral brand bulding.